The SMT industry widely accepts that ~60% of solder defects occur at the stencil printer. Figure 1 (below) depicts a very busy Ishikawa diagram illustrating why this is the case. There is simply a wide variety of variables that influence the outcome. I’d like to make use of a phrase often associated with sports: “returning to the fundamentals (or basics).” This term is often used by a coach when an individual or team begins to exhibit poor execution of fundamental skills. This term can be used in the world of SMT as well. It’s not necessarily because we have lost site of the fundamentals and become a little sloppy in our play, but because the rules of the game have changed as we continue on the path of miniaturization. An SMT process that may have run without defects for years may suddenly falter when faced with processing very small components. In the next few blog posts, I will cover a number of variables, and offer suggestions on how to improve success rates, especially with regard to fine-feature solder deposits. Solder paste handling and storage is the first in this series. Often overlooked is the importance of storage and handling of solder paste. Solder paste has an expiration date and is categorized as a perishable material; I’ll relate this to a gallon of milk. Interestingly, a comparable analogy can be made: “How long can I leave a gallon of milk on the counter before it spoils?” It is important to note that even though refrigerated, at some point both milk and solder paste will “spoil” (beyond the expiration date). In regard to the solder paste, the flux is always “working” even when refrigerated, removing surface oxides from the solder powder particles within the solder paste itself. The reaction is much slower when refrigerated, but occurs nonetheless. The byproduct of this reaction is a heavy metal salt, resulting in an increase in the solder paste viscosity and a decrease in available flux activity. “Spoiling” of the solder paste results in poor paste roll on the stencil and subsequent aperture fill as well as decreased flux activity during reflow. Returning to our analogy of milk, once removed from the fridge, how long can it be left on the counter before it spoils? This can't be answered with a one-size-fits-all response. There are a number of variables to consider: how close is it to the expiration date (the closer it is to the expiration date?, the faster it will spoil); how much is in the container? (a full container will take longer to spoil than a container with just a little milk in it); how long was the cap left off the container, allowing the contents to be exposed to the air? ; how many times was the cap removed? ; has it been contaminated with foreign or older material? (for instance adding old paste back into the same container with the unused, fresh paste in the jar); room temperature? ; and humidity? ; to name a few. Any combination of these causes the contents to “spoil” at an even greater rate. I should mention that the analogy to milk falls short in a couple respects. Cycling milk in and out of the refrigerator helps slow the spoiling process for milk, but it actually accelerates the “spoiling” process for solder paste. Secondly, it is imperative that the solder paste be thawed to room temperature before use. In both instances condensation is the issue (see Figure 2 of the soda can). If solder paste is not brought to room temperature prior to opening the container, moisture will condense on the solder paste, exactly like we see on a milk container or on a soda can that is removed from the refrigerator. This moisture accelerates the “spoiling” process for solder pastes. Improper thawing, such as setting the solder paste on a window sill in the sunlight or on top of an oven, will also accelerate the spoiling process. 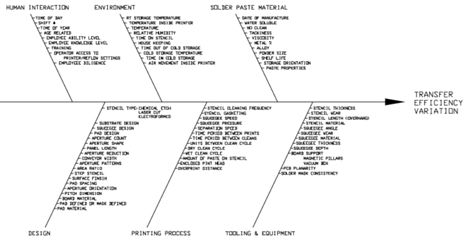 In summary, the handling of solder paste forms a fairly good analogy with milk. Spoiling of the solder paste affects the ability of the solder paste “roll” on the stencil (or dispense ability for syringe-dispense applications), therefore hampering the ability of the solder paste to fill the stencil apertures, resulting in insufficient paste deposits on the PWB pads. The available flux, when needed, is also diminished as the flux activity is “consumed” in this chemical reaction; there is less flux activity to overcome the challenges of the reflow profile. With diminished flux during reflow, the solder paste is even more challenged to overcome solder defects that are sensitive to oxidation, such as graping, head-in-pillow, and solder balling. This challenge is even more evident as the solder paste deposit becomes smaller and smaller. Stay tuned for my next installment. Read Part 2 here.